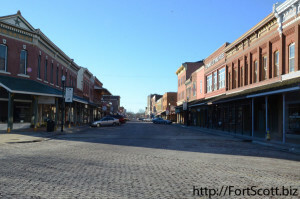 Downtown businesses in Fort Scott will donate a portion of their sales Friday toward the purchase of a new trolley for the city in honor of Kansas Day, celebrating the 155th birthday of when Kansas became the 34th state of the union. 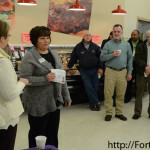 During a recent, quarterly meet-and-greet of local businesses in Fort Scott, certain business owners proposed donating five percent of their sales toward that fund during the annual event, which in the past has provided discounts at certain stores in Fort Scott. Participating stores include Papa Don’s, Crooner’s Lounge, Shirt Shack, Iron Star Antiques, Sharkey’s Pub & Grub, Main Street Gallery & Gifts, Courtland Hotel & Spa, Common Grounds Coffee Co., Bids & Dibs, J & W Sports and Country Cupboard. Those stores will have a sunflower placed in front of their store. 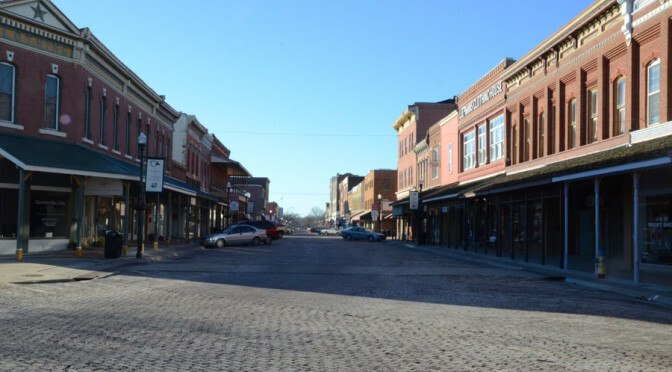 In recent weeks, the local Chamber of Commerce has also posted facts about Kansas on their Facebook page, sharing information about its history, tourist attractions, economy and physical attributes. 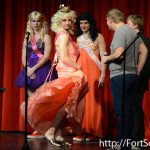 Fort Scott High School students competed and displayed their skills Tuesday evening with a talent show and Mr. FSHS pageant which featured students representing their school organizations. 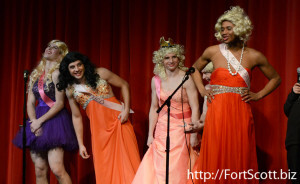 But the pageant participants, from groups such as Future Farmers of America, Student Council, forensics and numerous athletics organization, did not participate in the typical male pageant way. 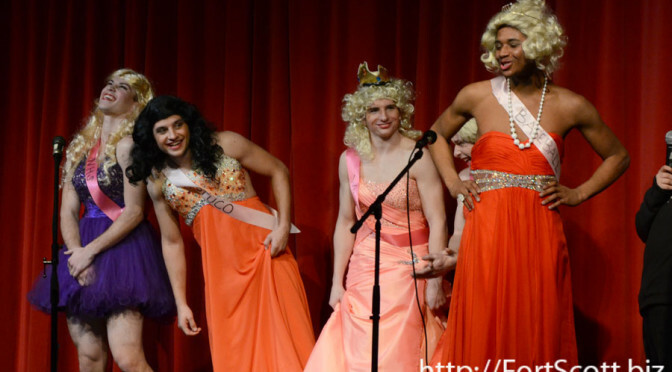 Instead, the contestants wore formal gowns, wigs and makeup while impersonating female voices and using girl names. 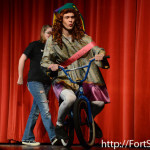 In the sportswear and talents portion of the pageant, the participants displayed skills such as playing catch, dancing, lip-synching, weight-lifting and riding scooters or bikes. While modeling their formals, they answered questions such as how they would change the world or solve world hunger, as well as who they want to win the Superbowl and who their favorite musical artist is. Based on the response from the full audience, the field of nine participants was narrowed to five and then the final two before Devonte “Devonna” Robison of the baseball team was crowned the winner. Other participants included Brandon Owenby, Sebastian Loyd, Brody Southwell, Jordan Phillips, Dalton Weddle, Thomas Nighswonger and Wyatt Tourtillot. 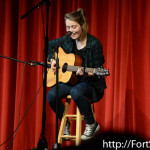 Other students participated in the talent show with talents such as singing, playing instruments, dancing, quoting original poetry and showing a video they created. 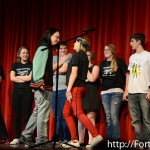 The FSHS Thespian Troupe, who benefited from the fundraiser event, also performed improvisation comedy. After consideration by judges Jared Martin, Janet Braun and Shawn LaSota, Greg Lorenz was awarded third place for his dance routine, Clare Gorman and Grace Willis second place for their duet and Alex King first place for singing and playing guitar. 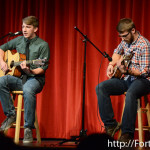 Students Blaine Thompson and Nate Mead served as the masters of ceremonies for the evening while other students helped with the sound, lights and stage set-up. Mercy Hospital and Country Place Senior Living partnered together Monday and Tuesday to provide members of the community an opportunity to learn about the effects of dementia and experience what it could feel like to have such a disease. 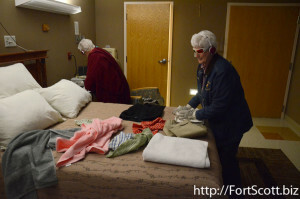 The approximate 60 participants in the tours were given a list of tasks to complete in a patient’s room at the hospital, including assignments such as folding towels, taking ‘pills,’ setting the table, putting clothes away, picking up trash or even just plugging a phone into its charger. 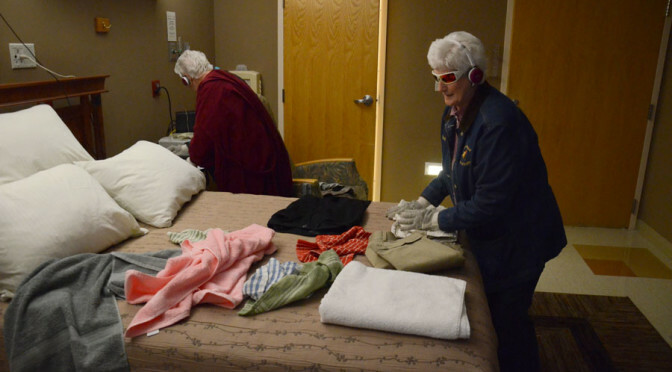 But while doing these tasks, they had to wear specific sunglasses that impaired their vision, inserts for their shoes that caused discomfort, gloves that limited dexterity and headphones that blocked their hearing while adding other sounds such as traffic or other everyday noises. Those items allowed them to experience what someone with dementia could suffer from, such as macular degeneration, arthritis or neuropathy. 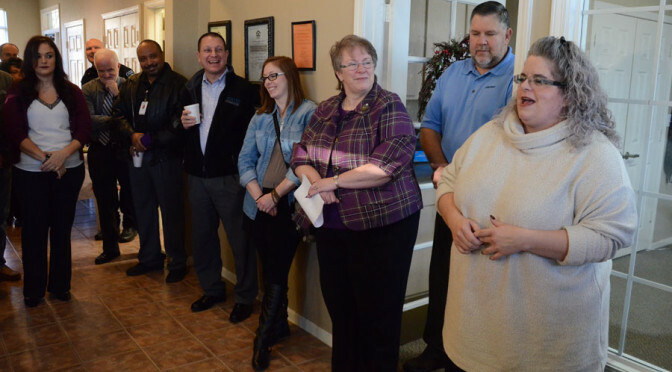 “We’ve given you the sense of what it would feel like to have dementia,” said Cheri Bauer, director of operations at Country Place, whose memory care facility should be complete in March. While no two cases are the same, Bauer said such physical ailments can be a common result, as well as problems with memory that can cause people to forget their own loved ones or suddenly not recognize the places they frequent regularly. Sisters Barbara Freer and Cecelia Kramer participated in the tour, saying they have had family members who died of Alzheimer’s as well as their sister who is currently facing later stages of the disease. 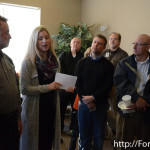 “It made me feel so sad that people have to live with this,” Kramer said after going through the tour, while Freer said the tour was very worthwhile for them. 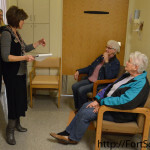 Darcy Sims, director of the Country Place facilities, said several family members of those with dementia participated in the tour as well as caregivers who help care for people with the disease regularly. “The families are so desperate for health and advice,” Bauer said, saying music therapy has often helped while doctors should also be asked for assistance for decisions such as preventing them from driving. 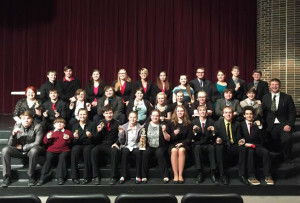 Because of the level of interest in the tour and limited number of spots, the hospital will again host the virtual tours Feb. 18, from 8 a.m. to 6 p.m.
[The Fort Scott High School Forensics Team] took first at Girard; a great opening weekend of forensics. Seth Cross took second in impromptu and poetry. Garrett Tatro took second in Domestic extemporaneous and original oration. Autumn Warren-Rice took 5th in domestic extemporaneous. Joe Adams took 4th in international extemporaneous and 4th in informative. Tayton Majors took 5th in international extemporaneous. Xavier Watkins took 6th in poetry. Tristan Watkins took third in poetry. Thomas Nighswonger took 5th in poetry and second in humorous interpretation. Suzi Owen took first on oration and 5th in dramatic interpretation. Charlotte Hutchison took first in duo with Sebastian Loyd and third in informative speaking. Asia Ferrington and Ashton Williams took second in duo. 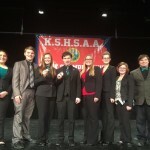 Logan Hall and Dalton Womeldorff took third in duo. Bella Isabella Provence took first in humorous interpretation. Mary Grace Schick took 4th in humorous interpretation. Hunter Parker took 5th in humorous interpretation. Also competing today were students who ranged from one speaker point from finals to one point from finals: Jake Province, Hannah Reel, Darby Toth, Breana Mooney, Sara Al-Shawish, Nick Shelton, Georgia Loyd and Caitlyn Killion. Due to being limited on entries, novices had to observe this weekend. Zach Humble was a great team manager. It’s hard to come off of state debate weekend and be ready to go. I have to say you guys rocked and came through like always. We had 21 out of 30 events in finals. 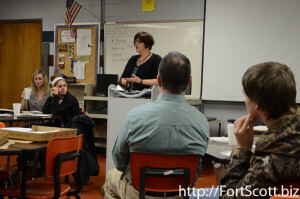 For a third year, Fort Scott High School has partnered with leaders and other members of the community in a mentor program that allows upper-classmen to meet with adult mentors throughout their school year. This school year, 12 students have been paired with adults, including some who work at Mercy Hospital, the Medicalodges, area banks and restaurants and other places of business. 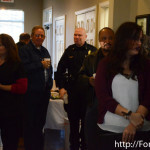 But Jessica Cook, marketing, relations and events coordinator for the Chamber of Commerce, said they still have students who would like to participate, but the program is short on mentors. 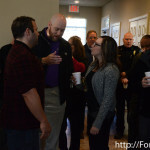 “We’re always looking for more people to be mentors,” Cook said, saying their requirements are that the mentors have time to meet with the students at least twice a month though they are encouraged to interact further if possible, such as by bringing the student to their place of business. 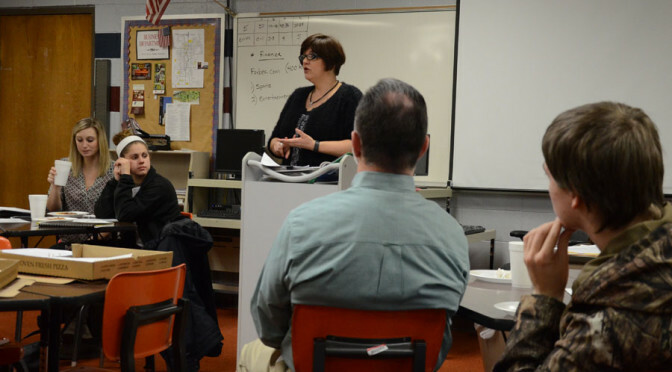 On Thursday, mentors and high school students gathered during a lunch break at the high school to hear Colleen Quick, human resources manager at Carlisle Belts, share advice about how to apply for a job and write a resume. Students, some of whom said they had never held a job previously, were given tips such as to dress appropriately for an interview, be courteous, turn off cell phones, research the company, come prepared to ask and answer questions and send a thank you note or email after an interview. She also said resumes should be written carefully and include experiences such as school, church and community activities, even if the students had never had a job. “That’s your opportunity to sell yourself,” Quick said of the resume. Cook said they plan to hold such meetings in the future, as more group gatherings was one of the requests from past students involved in the program. 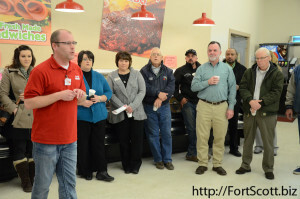 During the weekly Chamber Coffee, G & W Foods informed visitors of the numerous services they provide to their customers. “We do just about everything,” said Shawn O’Brien of G & W Foods, listing options such as fresh meat daily, organic foods, catering, cake decorating and a full-service deli. Each day of the week, the grocery store provides specials such as senior discounts or sales on specific food items such as bananas and chicken. For those who follow their Facebook page, further deals are offered weekly. Those with fuel cards can also save 2 cents per gallon at the gas station or 12 cents off per gallon for those who spend $100 in the store. 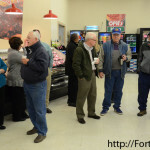 O’Brien said customer service is especially important to the 40 employees of the store, which was Gene’s Heartlands before being purchased by G & W Foods in August. “We’re here to help you guys as our customers,” O’Brien said, saying they would not be open without the support of their customers. 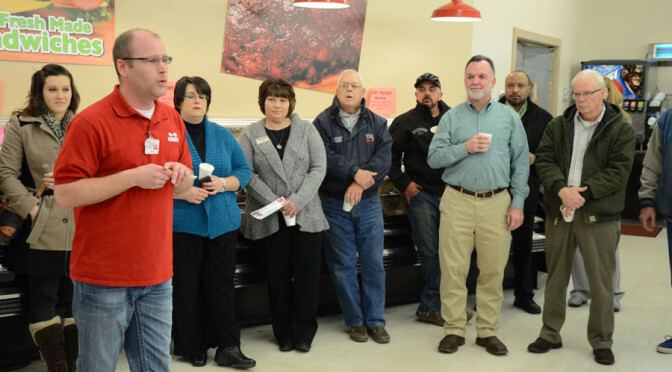 G & W Foods also participates in Partners in Education, which allows customers to save receipts and give them to their schools, which will then receive a percentage of the total purchase cost. Mercy Hospital will be partnering with Country Place Living to provide a Virtual Dementia Tour Monday and Tuesday to help those who may be caring for loved ones with dementia. To celebrate Kansas Day on Jan. 29, certain Chamber of Commerce businesses will donate five percent of their sales to the Dolly the Trolley fundraiser. The Dancing with our Stars Rotary Club fundraiser will be held Feb. 20, featuring 10 couples. The Lyons couple is currently holding a fundraiser in advance, selling homemade enchiladas through Jan. 29. 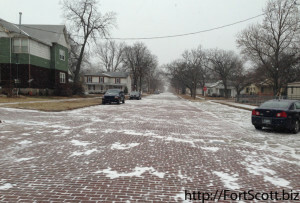 Skitch’s Hauling and Excavation continues to provide services for those in need of ice-melting or snow-plowing. 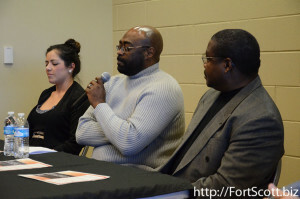 During a panel discussion held at the Fort Scott Community College Monday, members of the community were able to hear comments from and ask questions of panelists who had each suffered from racism in different areas of life over the years. “One way to honor Martin Luther King is to have good, honest conversations,” moderator Jared Witt said, saying it is an especially crucial time to hold such discussions because of recent events inspired by racism. 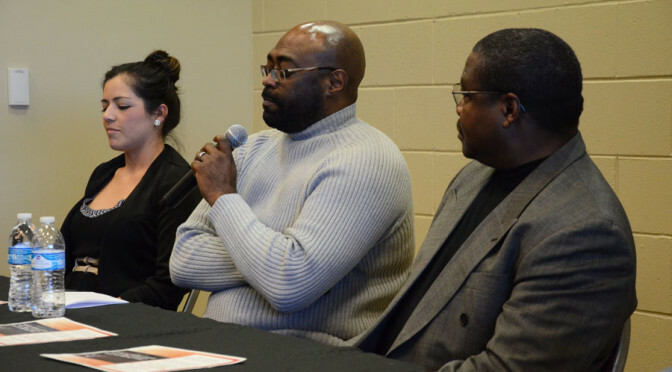 Dr. Larry Seals of Mercy Hospital, FSCC basketball coach Michael Cook and Fort Scott High School graduate and military member Carol Bakke shared of times when they were called racial slurs or treated poorly because of their skin color or country they were raised in. Cook recalled a time when he was the only African-American coach in his conference and had to deal with other coaches mistreating or ignoring him. Bakke said her first year of school in the United States after returning from Mexico as a teenager was difficult as others called her names or assumed she was an illegal immigrant. While deployed overseas, however, Bakke said she was looked down on instead for being a woman and an American by those from other countries. When asked how he thought people could move beyond racism, Seals said that is difficult for many people since they were raised with that mindset and judge people based solely on the color of their skin. “If you can treat people with respect and dignity, you’ll find out they’re so much more,” Seals said, saying it is important for people to treat others the way they want to be treated. Cook said he encourages his players to get to know each other and their different cultures so they can accept them, even if it is uncomfortable at times. Panelists also agreed it is important to begin teaching children in the home that racism is unacceptable. 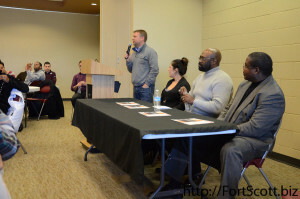 USD 234 Superintendent Bob Beckham asked the panelists what they thought Martin Luther King would think if he saw the current state of the United States, and they readily agreed that they believed he would be pleased with what he saw. “I think he would be happy with the progress we’ve made,” Seals said—pointing out achievements such as the acceptance of biracial marriages, the election of an African-American as president and a general decrease in violence—but adding there is still a long way to go. Cook said he believed King would say that the holiday named after him is for all people, not just African-Americans, just as racism is not just a one-sided issue, but one that needs to be dealt with by all people. 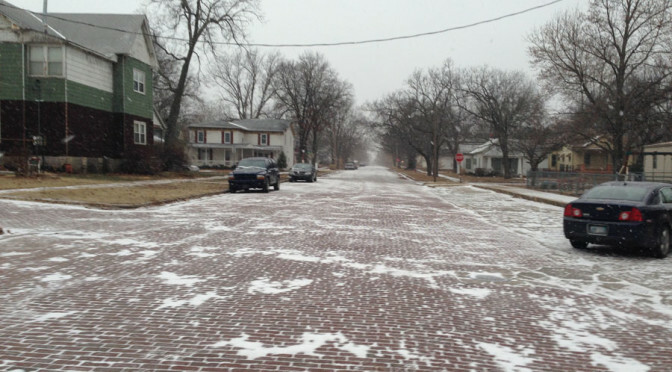 Weekend temperatures dipped well below the freezing point, even bringing some snow flurries to Fort Scott Sunday morning, having an impact on a local business that cannot provide their services with such cold weather. 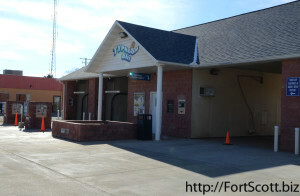 The Typhoon Bay car wash on National Avenue has had cones blocking their bays in recent days because the weather has been too cold, someone at the place of business explained Monday, adding some of the equipment only works when temperatures are at least about 27 or 28 degrees Fahrenheit. Temperatures are forecast to reach above freezing once again this week, but Tuesday and Thursday also hold chances for snow and ice, which could potentially lead to adverse conditions on the roads. We won! 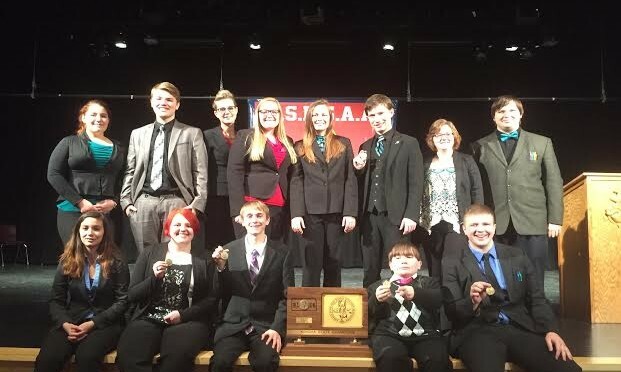 This weekend Fort Scott High School competed in the 4A State Debate Tournament in two divisions. Our first place regional team consisting of Seth Cross (2nd year debater/Junior), Zach Humble (3rd year debater/Jr) , Isabella Provence (2nd year debater/Soph), Joe Adams (2nd year debater/Soph), and Breana Mooney (3rd year debater/Jr.) took 1st place, beating out Bishop Meige and Sumner Academy. It was a hard-fought battle, but our young team beat the state champions from last year. 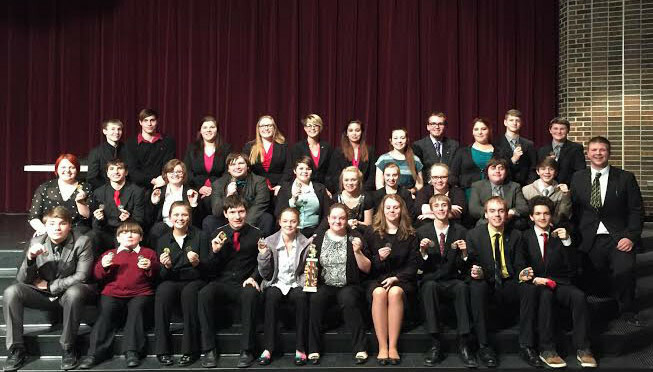 We also competed in the 2-speaker division. The team of Charlotte Hutchison (4-year Sr.) and Sebastian Loyd (4-year Sr.) only dropped one round in preliminaries and went into double-octo-finals in 4th place. They were able to win the double octo-final round and proceed to the octo-final round. 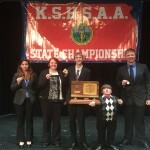 Unfortunately, they dropped to Tonganoxie in a 2-1 decision, placing them in the top 16 out of 72 teams in the state. Tayton Majors (2nd year/Soph.) and Sara Al-Shawish (2nd year/ Soph.) were a couple of speaker points from breaking into elimination rounds. The teams of Darby Toth (2nd yr Soph. )/ Rebekah Sweyko (Freshman) and Suzi Owen (2nd year Jr.)/Hunter Parker (2nd year/Jr), had to make major adjustments the week of state by obtaining new partners. Considering the circumstances, they did an amazing job. They were both able to pick up at least two rounds. Rebekah and Darby had better speaker points than many of the teams that did break into elimination rounds. I am so proud of these four. They took on almost insurmountable odds the week of state and did their very best for not only themselves, but also for their team. 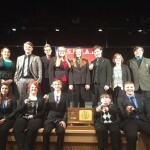 Also qualifying for state were sophomore Jake Province, who was ill, freshman Ethan Tatro, and senior Garrett Tatro. Members of the Fort Scott High School Thespians Chapter #7365 attended the annual Kansas State Thespian Conference, Jan. 7-9, in Wichita. 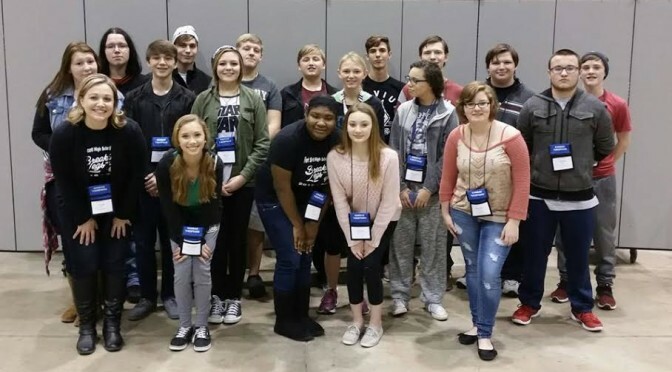 The conference was attended by over 1,400 theatre students from across the state. 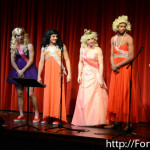 Eighteen members of the troupe attended award-winning theatrical performances and participated in a variety of performance and technical theatre workshops. 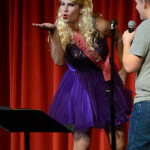 Students, along with Thespian Sponsor Angie Bin, participated in such varied classes as Prosthetic Makeup for the Stage and Screen, West African Dancing, and Auditioning for Commercial and Film, among many others. Troupe president, Suzi Owen, presented the troupe scrapbook and interviewed for “Honor Chapter” status. 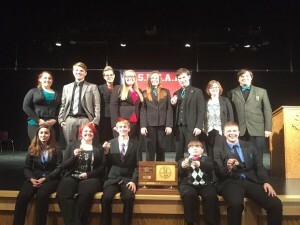 The FSHS troupe received a trophy for achieving the Bronze Level of Achievement. The troupe competed in several group events and received a 3rd Place trophy for Speed Charades. 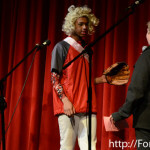 Students also competed in Improvised Acting and Creative Costuming. 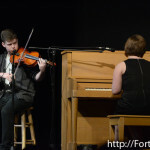 Senior Nate Mead and junior Suzi Owen competed in the musical duet category with the song “Back of the Bus” from Band Geeks the musical. 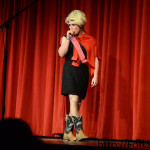 Junior Cire’ Miller performed a musical solo of “Bless the Lord” from Godspell the musical. Freshmen Brooklyn Lyons and Alyx Brooks performed a duet acting scene from The Bad Seed and freshman Hunter Adamson and junior Hunter Parker performed a duet from Wait Until Dark. Sophomore Kiel Hall, junior Briant Martin, and freshman Daniela Belcuore performed a group acting scene fromThomas. 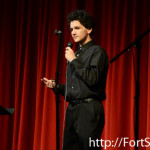 Sophomore Jake Provence also submitted his short film for competition. 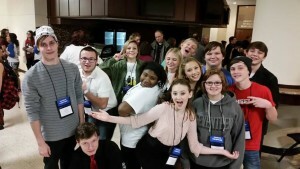 FSHS Thespians also had the unique opportunity to view the United States premiere of James and the Giant Peach the musical with a cast of leading student actors from across the state. 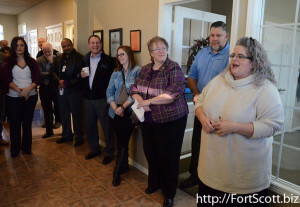 During the most recent Chamber Coffee, Andrea Ramm of the Highlands Apartments provided information about the housing available to Fort Scott residents who meet the income requirements, while also displaying one of the apartments for tours. 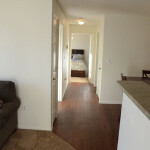 The complex has been in the community since 2003 and has 48 units of two- and 3-bedroom apartments with washer and dryer hookups and other amenities. The complex also holds regular community events such as monthly potlucks for the residents. The complex is income-restricted, with residents required to make no more than 60 percent of the median household income, which for a one-person family is currently under $26,000, increasing for additional family members. Currently, the apartments are offering move-in specials of $200 off the first month’s rent and no application fee for those wanting to move into the complex. 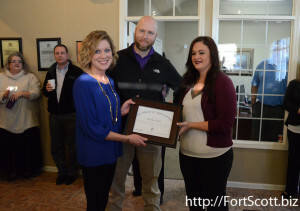 “It’s a wonderful place and we need to have it filled,” said Lindsay Madison, director of the chamber of commerce. 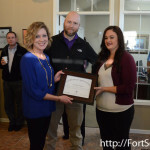 Heather Smith was also recognized for serving as the president of the Young Professionals League for the past two years. She is now the treasurer of the group that meets monthly. Fort Scott and the Fort Scott High School booster club will host the annual youth basketball tournament this weekend, with about 29 teams participating in games at different school gyms as well as the Buck Run Community Center. On Sunday, the Common Ground Coffee Co. will host a going-away event, 12-2 p.m., for the previous manager Dav Mohler. Visitors are encouraged to bring finger foods to the event. Country Place Senior Living, the assisted living facilities being constructed near Horton and 9th streets, is partnering with Mercy Hospital to host a virtual dementia tour to help those who may have friends or family members with dementia. The hospital will host the event Monday and Tuesday, January 25 and 26. After completing recent renovations, Bids & Dibs will hold after hours Thursday, Jan. 28, in order to display recent changes as well as additions to their stock. 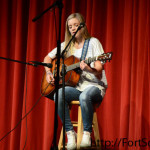 Common Ground Coffee Co. will host a concert by a Fort Scott Middle School teacher Friday evening, Jan. 29. Care to Share will hold a pool tournament fundraiser at the Holmtown Pub with a silent auction on January 30. Registration is $20 in advance and $30 at the door. 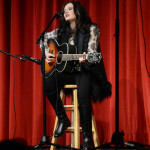 Preparations are being made for the Arts Festival to be held in Fort Scott, April 7-9. Businesses and organizations are encouraged to share details with the community to increase the interest and involvement in the event. 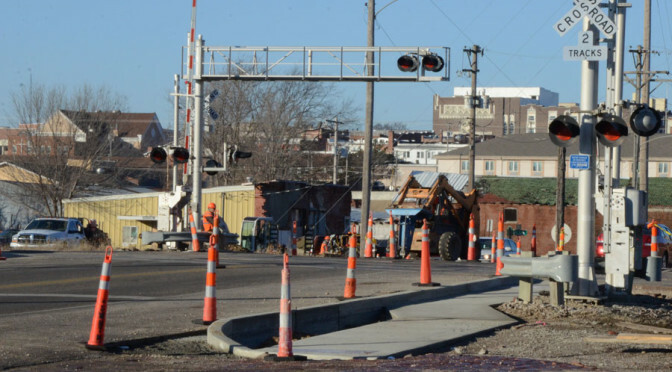 In the past month, work began on preparing the intersection at Main Street and the railroad tracks for a Quiet Zone that will prevent trains from blowing their horns within a quarter of a mile of the intersection. 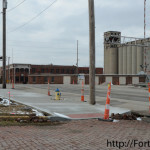 Public Works Manager Chad Brown said Wednesday that contractors have completed a new portion of roadway running north towards the animal control facility, the curb work along the north and south sides of Wall Street are finished and only some of the sidewalk remains. 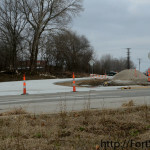 Thursday morning, equipment began tearing up some of the street in preparation for the center median. Lanes remained open despite the road work. 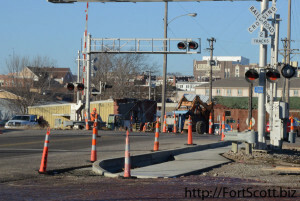 After that remaining construction is completed, Brown said the traffic lines will be painted and required signage put in place. 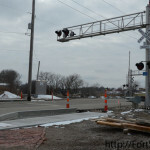 Leading up to the project, City Manager Dave Martin said the quiet zone is expected to be complete by the summer.